You are here: Home / We are Gulag Bound / *Resisters' Log* / Paid Russian Agent Adam Kokesh Off Air – Does “America’s Survival” Deserve Credit? Supporters of paid Russian agent Adam Kokesh are blaming America’s Survival, Inc. for the termination of his show on Russian TV. His last program was on Tuesday night. I have no way of knowing why he went off the air. But I do know that the Federal Election Commission (FEC) received my complaint over Kokesh apparently violating U.S. law by using the Russia Today television facilities to raise money for Ron Paul’s presidential campaign. Kokesh admitted he was a paid Russian agent in an interview with him that I videotaped and posted on YouTube. You can watch it here. It is illegal for a foreign corporation to interfere in U.S. elections. I will say this: we must guard against foreign regimes and their puppets interfering in our elections. That is why I filed the complaint. I wanted the FEC to investigate. My friend Trevor Loudon covered the controversy in this article: Federal Complaint Filed Against Russia Today! “America’s Survival, Inc. has filed a complaint over Russia Today Television network (RTTV) with the U.S. Federal Election Commission (FEC). “The complaint states that RTTV provided air time for one of its employees, Adam Kokesh, to promote and raise funds for a 2012 American presidential candidate, Rep. Ron Paul, in apparent violation of the ban on political contributions and expenditures by foreign nationals. “The apparent purpose of this electioneering by a foreign corporation based in Russia is to divide and weaken the Republican Party as it enters the 2012 presidential election season, thus making it more likely that President Barack Obama and his political party will succeed. 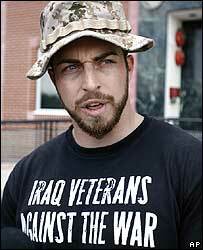 Did it escape someone’s attention that Adam Kokesh is an American citizen and an Iraqi War vet? 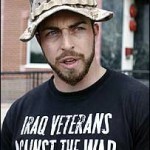 http://en.wikipedia.org/wiki/Adam_Kokesh Has anyone actually watched his show? http://www.youtube.com/user/AdamKokesh Irf you would have let him answer the questions or listened to him when he did speak, he is focused on what’s going on here in the USA just as you are. This is a tempest in a teapot.